A women’s group that has helped women end their pregnancies abroad by sending them abortion pills in the mail launched a new project to send pills to the U.S., according to a Thursday report. Women on Web founder Rebecca Gomperts helped women have illegal abortions across Europe, and quietly launched a new service, Aid Access, that will send abortion pills to America, The Atlantic reported Thursday. “Women on Web is a digital community of women who have had abortions, medical doctors, researchers, and individuals and organizations that support abortion rights,” according to its website. The cost of shipping abortion pills to the U.S. is approximately $95, but Aid Access will seek to help women who cannot afford to pay the full cost of the pills plus shipping, according to The Atlantic. Aid Access will screen women online to ensure that they are not more than nine weeks pregnant, The Atlantic also reported. Gomperts, who is a physician, will fill the prescriptions. Gomperts told The Atlantic that she sends the drugs to a pharmacy in India before they are sent to the U.S. It is not clear how the screenings would reliably eliminate recipients who are more than nine weeks pregnant. Women on Web provides pills to women who are up to 12 weeks pregnant. “Handing out deadly drugs through the mail is a disaster waiting to happen,” Students for Life of America President Kristan Hawkins said in a Thursday statement. “These dangerous drugs have also been used by abusers to end wanted pregnancy, something that this distribution model would make even easier. Women deserve better,” Hawkins added. Gomperts alleges her activities are legal, purporting that the Food and Drug Administration allows people to import medicines for their personal use, putting her provision of the pills within the bounds of law. Aid Access has sent roughly 600 pills to the U.S. so far, but Gomperts sought to keep the new group’s activities off the radar until now. “Something had to be done,” said Gomperts, who worried American pro-life organizations would try to shut down Aid Access but decided she had to act despite any obstacles she might face. 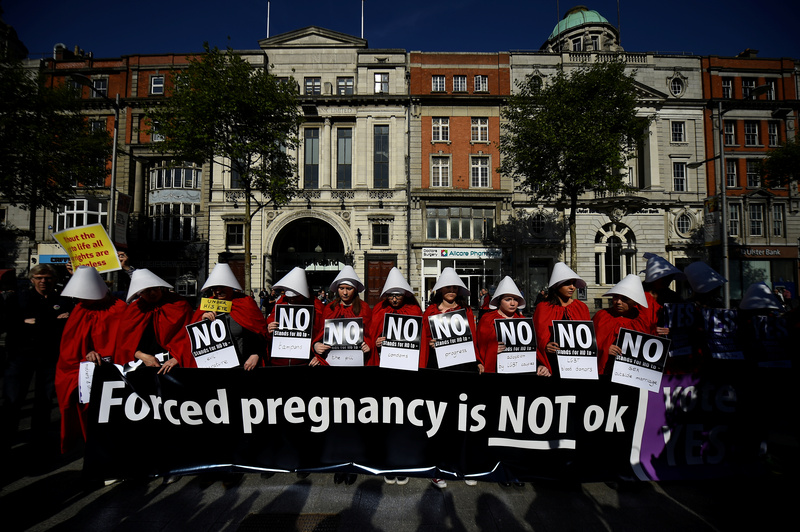 “I hope I will be the first of many others” Gomperts told The Atlantic, expressing hope that other doctors will soon begin sending abortion pills as well. Women on Web did not respond to The Daily Caller News Foundation’s request for comment.